In Maine, it is illegal to smoke marijuana in Section 8 federal housing or homes—even if it is for medicinal purposes. For this reason, one couple is working toward formulating a “cannabis club” where residents who need medical marijuana can meet to consume their medicine away from their homes. The couple, Shanon and Vince Gogan, operate Legal Peaces, a smoke shop located in Lewiston, Maine. The smoke shop is a place that provides a safe environment to smoke medical marijuana. Medical marijuana is legal in Maine; however, like everywhere else, it is still illegal federally. This means that since Section 8 is also federally funded, marijuana is illegal on the premises. 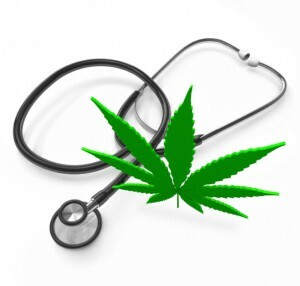 Poor patients who need medical marijuana for their conditions are then faced with the dilemma of treating their illness or being kicked out of their housing. In order to help out, the Gogans petitioned the city to grant them a permit for a lounge in their business. Were it granted, Legal Peaces would have granted access for customers to smoke their cannabis in a lounge setting upon presenting their ID and medical marijuana card. However, Gil Arsenault, the code enforcement director, denied the permit, stating that the ability to smoke marijuana in a retail space wasn’t a permitted option for the building. If the Gogans can find other shops around the country that have been permitted for medical marijuana consumption on the premises, an exception could be granted.